Pinnacle Racing Tips is a horse racing tipster from the Betting Gods stable of tipsters and we have just finished a three month trial of the service. It is a slightly unusual service in that most of the bets are doubles, trebles and trixies, although there are some single bets as well. Most of the horses backed are favourites, at odds of around 1.5 – 3.0, so that means they are able to maintain quite a high strike rate of over 30%, even though they are betting in multiples. The results for our trial were excellent, with 99 points profit made in three months which very nearly doubled our bank. As you can see from the graph below, after a slow start things improved quickly and we were well in profit for the vast majority of the trial. Any tipster that manages to effectively double the bank in just three months is worthy of considerable praise and that is certainly the case with Pinnacle Racing Tips. We therefore have no hesitation in awarding this a PASSED rating as it has been a superb trial and it appears Betting Gods have found yet another top quality tipster. We will of course continue to monitor the results of Pinnacle Racing Tips to ensure it continues to be profitable, but for the time being this looks like being something special. 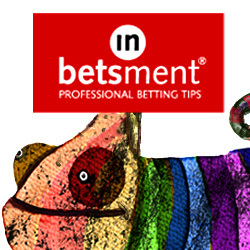 Ease of use: A very easy service to follow, with an average of 1.5 bets per day. With most being multiples, you will generally need bookie accounts as it would be tricky to operate using Betfair. But shouldn’t take long to place the bets each day either way. Availability of prices: The good thing about multiples is that prices tend to hold up better and bookies are less suspicious of them, thus giving the service a potential advantage over others that bet in singles. Strike rate: The strike rate during the trial was 37%, which is very good considering the majority of bets are multiples. Advised Betting Bank: A 100 point bank is advised for Pinnacle Racing Tips. We did go over 40 points down at one point however, so if you wanted to take a more cautious approach then a 150 point bank would be recommended. It has been an excellent trial for Pinnacle Racing Tips, which has effectively doubled the bank in just three months, making 99 points profit. We tend to like services that employ a different approach to betting and Pinnacle Racing tips does that through placing multiple bets rather than just singles. With a high strike rate of over 30% and a strong ROI of over 20%, there is a lot to like about the service and it is a definite PASSED rating from us. Let’s hope it can keep up the superb results over the long term and if it does then this will merit a place alongside the other top-class Betting Gods services like Master Racing Tipster and Quentin Franks Racing. Pinnacle Racing Tips continues to deliver the profits at an impressive rate, racking up another 21 points profit since our last update. That means we are now 137 points up for the trial overall at advised prices. Most of the bets are multiples – doubles, trebles and trixies, so there is the potential for some big wins. What is most appealing about the service though is that so far it has been very consistent, where as normally systems using multiples have big swings up and down. It’s not long before we will be doing our final review here and Pinnacle Racing Tips looks like its heading for a passed rating. Things continue to move along very nicely indeed for Pinnacle Racing Tips, who have added another 70 points profit since our last update a month ago. That means they are now 116 points up for the trial overall. This is looking like a really promising service and one where the results during our trial are matching up to the pre-trial results, which doesn’t happen too often. We don’t want to jinx things but let’s hope they can keep things up as these results have been very impressive so far. It’s been an excellent start to our trial of Pinnacle Racing Tips, who are 46 points up so far to advised prices after one month. This is a service that tips in multiples – doubles, trebles and trixies mainly – so it is not one where you can record Betfair SP. However, in terms of the advised prices we have found it no problem in achieving them so the published results should be more or less achievable for anyone following the service. So a good start for Pinnacle Racing Tips and we will be back soon with more updates. It is time to start a new trial of a horse racing tipster here at Honest Betting Reviews and the service we have in the hotseat today is Pinnacle Racing Tips. This is a relatively new service from the excellent Betting Gods tipster platform but has posted some very respectable results to date according to their website. The service combines a mixture of singles, doubles, trebles and trixies, making it a “true horse racing enthusiasts tipster service” in the words of Betting Gods. Pinnacle Racing Tips started providing their selections to Betting Gods back in March and since then have amassed over 170 points profit, which is a pretty impressive total. That has been achieved with a strike rate of over 25% and a return on investment of over 17%, which are healthy figures as well. There have been some big winners along the way too, with a tasty treble on 28th July landing over 78 points profit in one day! So all in all this looks like quite a promising service and hopefully will end up joining the pantheon of other great Betting Gods tipsters like Quentin Franks, Master Racing Tipster and Value Racing Tips. Only time will tell of course, but we will start an initial three month trial of this one and will see how it gets on. In the meantime, you can check out Pinnacle Racing Tips here. Envion ICO – Make Up to 160% ROI! Make Money on the Go!